A new Tunisian prime minister and government were sworn in on February 6. 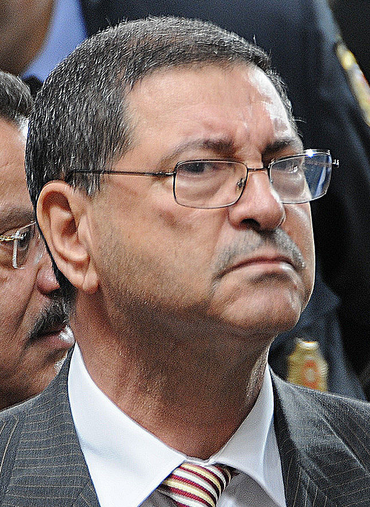 Habib Essid (image) is the first prime minister to be sworn in after the country adopted a new constitution a year ago. The country also got a new president recently in December. Tunisia has gone through many changes in the last four years. At the end of 2010, people in Tunisia were unhappy with their country’s government. There weren’t enough jobs, food prices were shooting up, and houses were getting unaffordable. After weeks of protesting and fighting with the police, the people of Tunisia forced President Zine al-Abidine Ben Ali, their country’s leader for 23 years, to step down in January 2011. Tunisians wanted a new government, a new constitution, and a new way of running their nation. A new government was elected at the end of 2011, but Tunisians were unhappy with its progress. The prime minister stepped down at the start of 2014 and a temporary government was running the country. Elections were held in October last year to select another government for the nation. Tunisia got its independence from France in 1956. It is easy to remember Tunisia’s capital – it’s Tunis. Arabic is the official language, though French is also widely spoken. Some of Tunisia’s popular products are olives and dates. 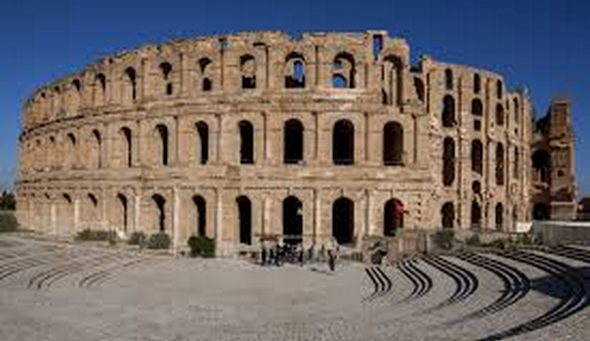 A landmark of the country is the Amphitheatre of El Jem (image). It is located in the village of El Jem, and was built about 1,750 years ago. The amphitheater was made up of stone blocks and could hold up to 35,000 people. Tunisia’s city called Bizerte is the northernmost city in Africa. Leaders of three nations near Tunisia (Egypt, Libya, and Yemen) were forced to step down by citizens of their countries in 2011. Egypt’s leader had been in power for nearly 30 years, Libya’s for 42 years, and Yemen’s for 33 years.